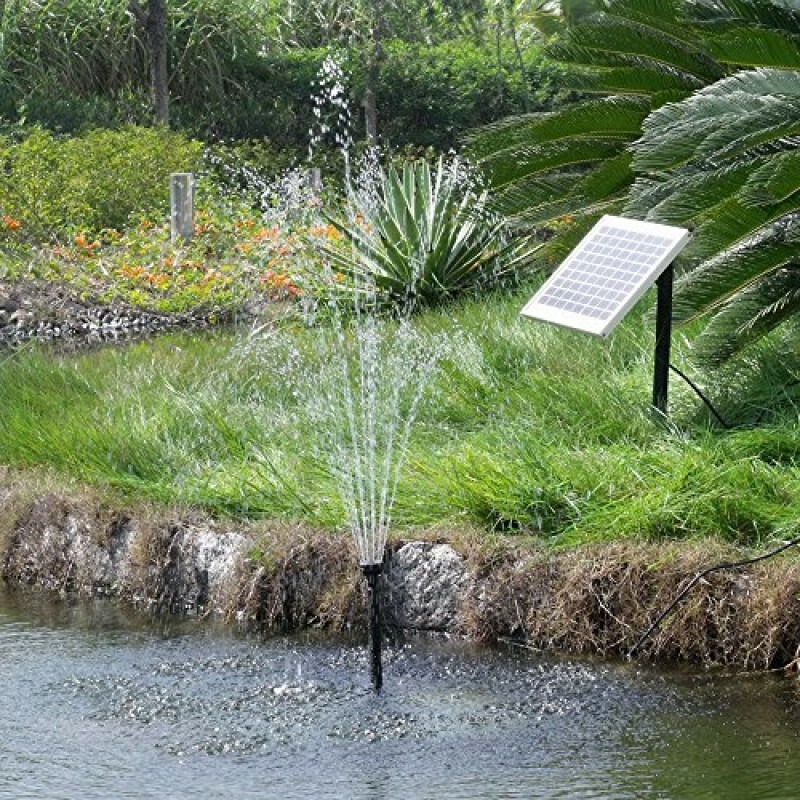 This Solar Pump pushes or sprays water up to 80 inches high. 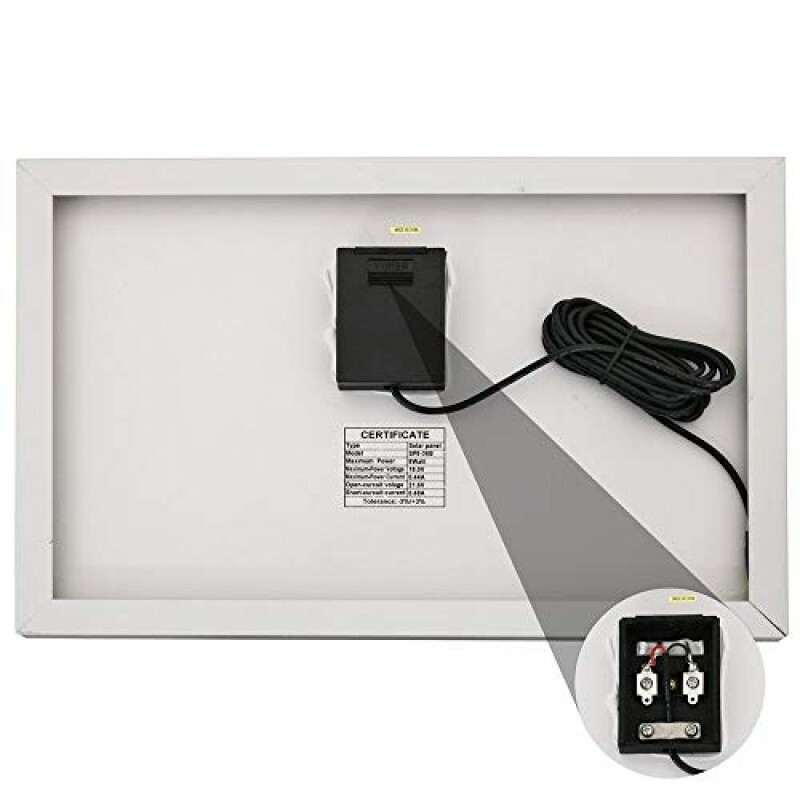 Comes with a 18V DC Brushless Pump and 8W panel with a 16' cable for easy placement of the panel in a sunny area. The panel must be in direct sunlight for optimal results. The fountain head has 2 spray head options, and water flow is 200 GPH. 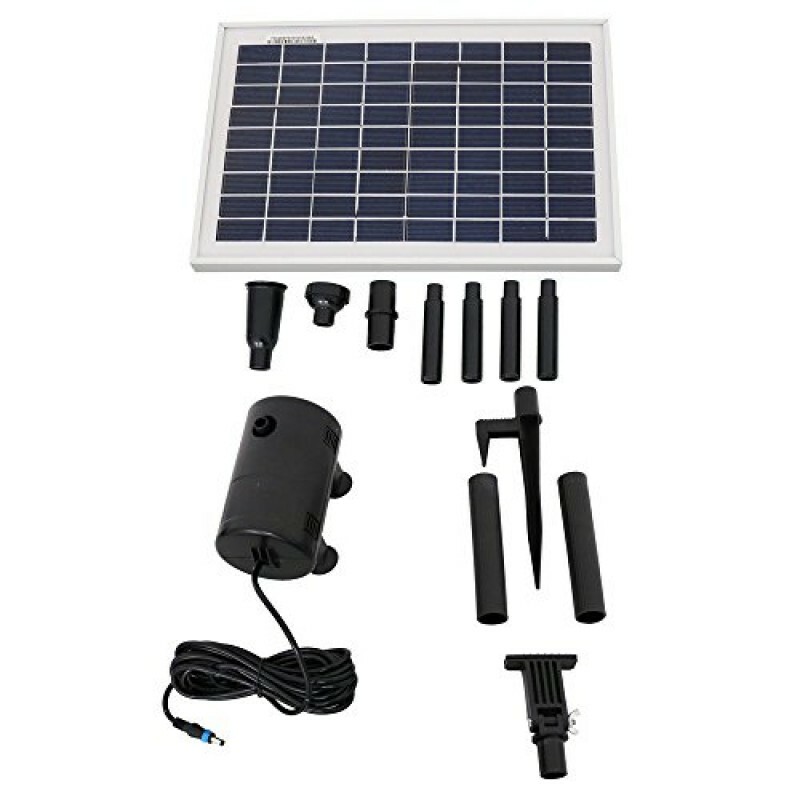 The pump comes with adapters so you can make your own waterfall or convert an electric pump to a solar. 8W Solar Panel with ground spike. Can be used for outdoor ponds or you can create your own fountain. Must be placed in direct sunlight to operate; it does not store energy in a battery pack.